I saw this view on Thursday, note the telescope and mount in the rear view mirror. 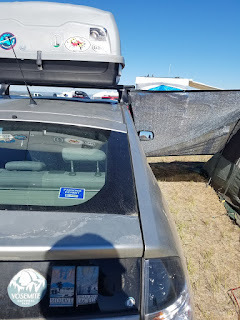 I did score a small panel of aluminet to add to the gap between the car and the tent, making a nice sheltered area. On Friday, a pilot flew around the site in their para-glider-plane. I'd rather have this instead of a drone zipping about. Still, they never flew over the campsites. 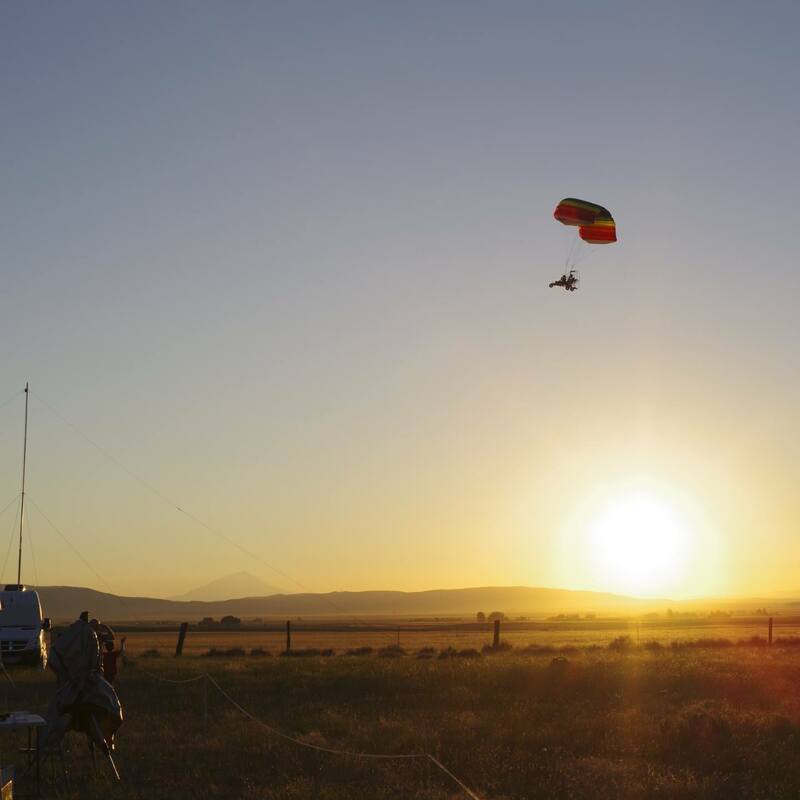 I like this picture because of Mt Shasta, the setting sun, and the backlit parachute. 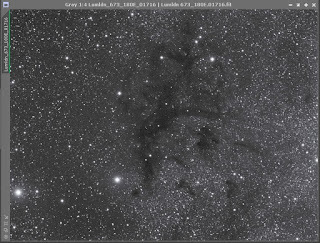 A single luminance sub of the digital target, LDN 673. This shows how dark the skies are at GSSP. As I've done in the past, I try to keep one of these power meters running the whole time during a star party. 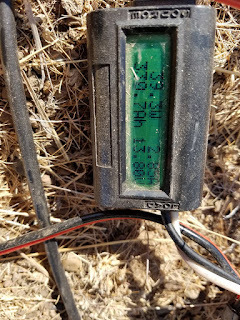 This is a habit that lets me know what the total power budget of the event was. 330 Amp hours - or just a little over 4 kW. The prius power system saves a lot of hassle of battery management and charging. The car used a little over 2 gallons of fuel.